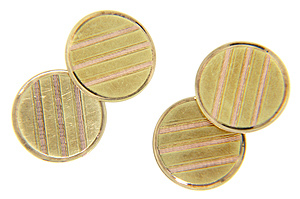 Diagonal lines of pink gold run across the surfaces of these circular 14K green gold antique cuff links. 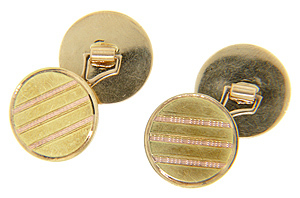 The art deco cuff links measure 5/8” in diameter. Circa: 1920.